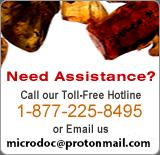 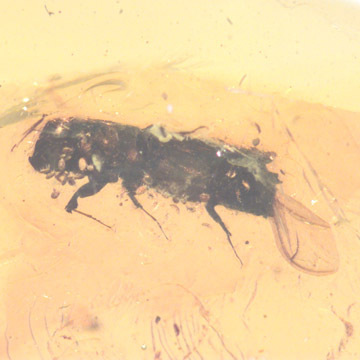 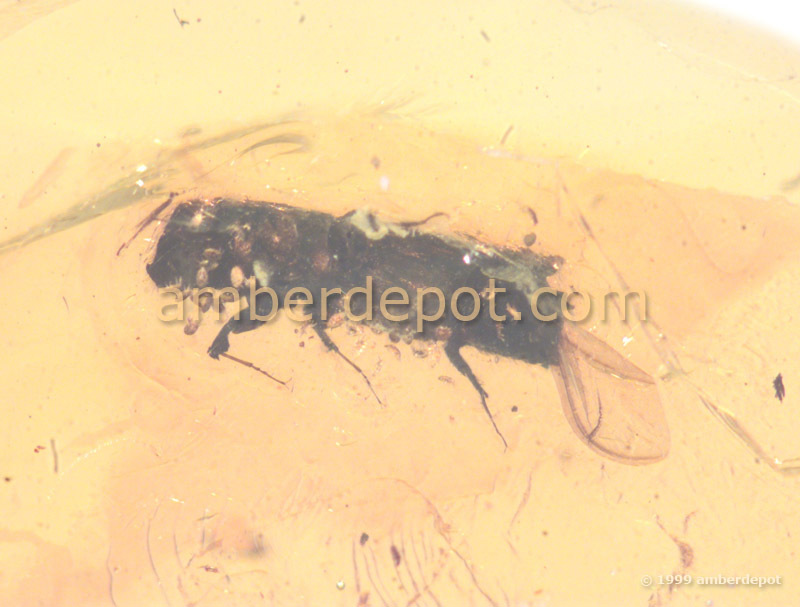 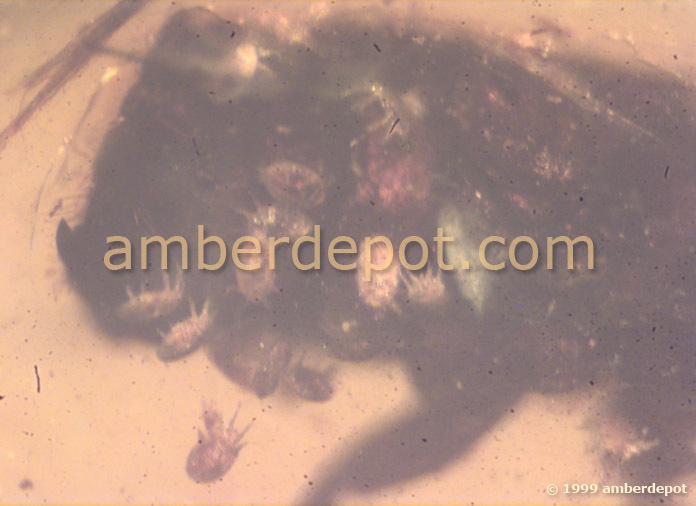 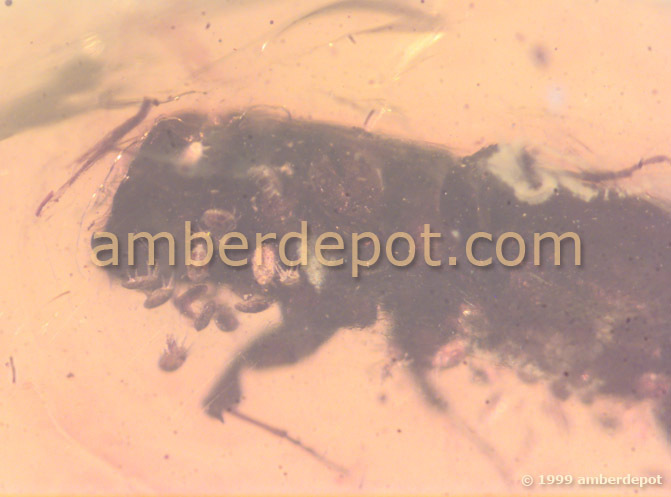 RARE THIRTY SIX MITES CLINGING ON BARK BEETLE IN DOMINICAN AMBER (with printed photo size: 1.5" Square). 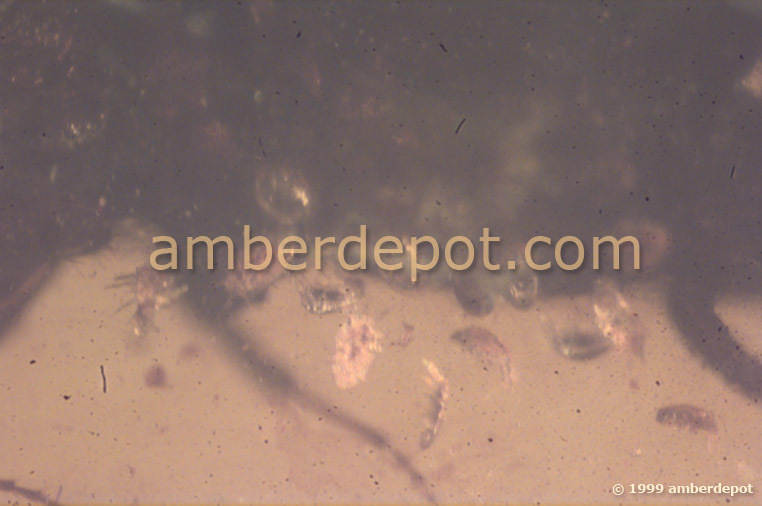 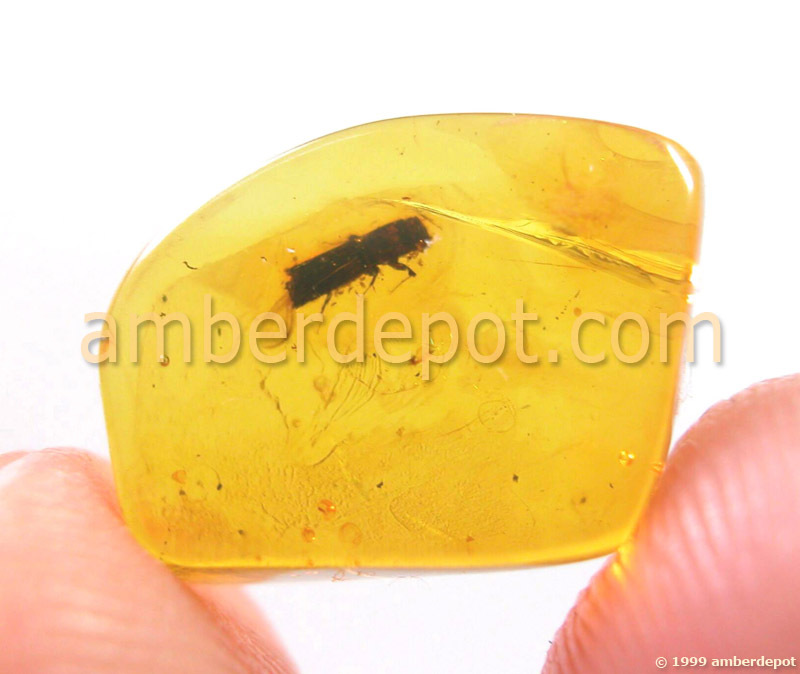 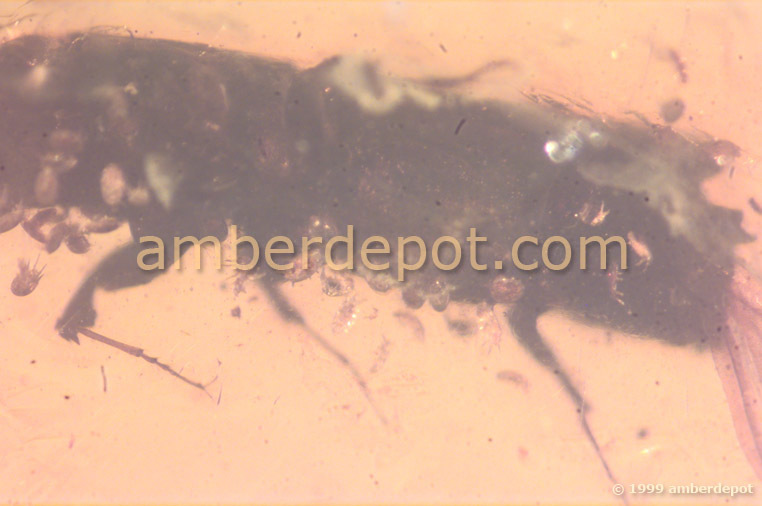 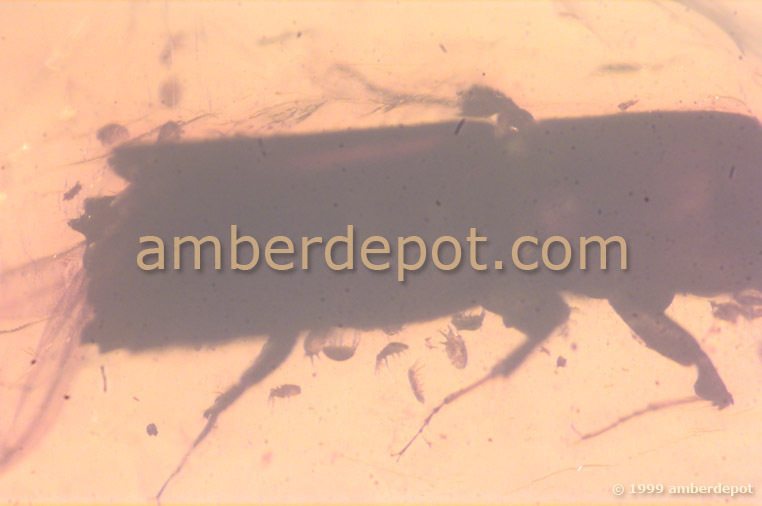 Insect Size: 1mm(each)(mite), 3mm(beetle), Stone Size (Max. 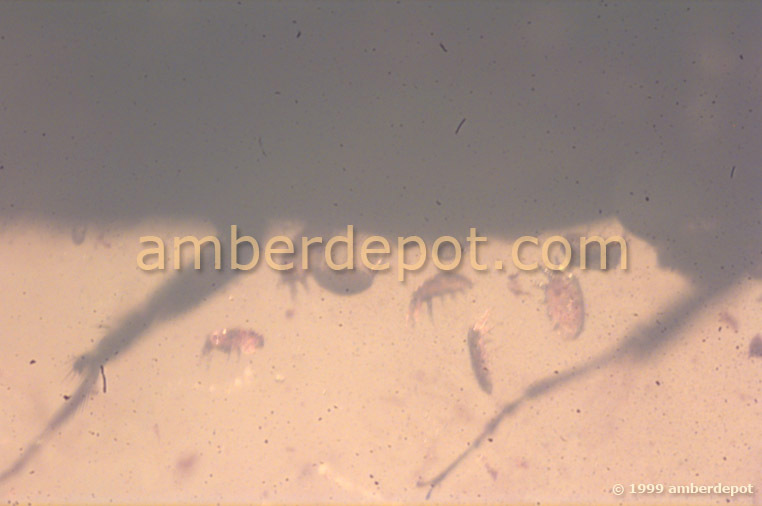 13x9x2mm).